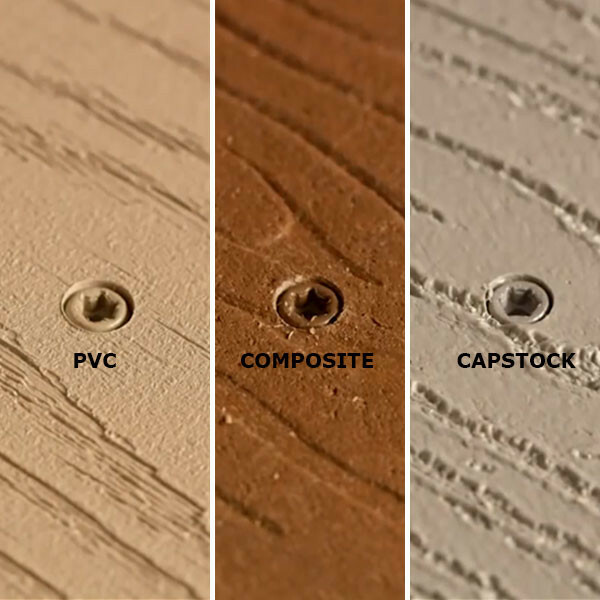 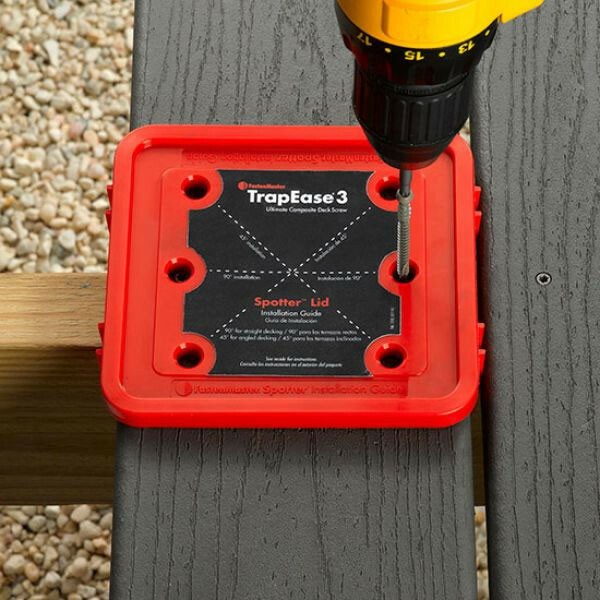 Whether you are building with composite, PVC or capstock, there is no need to pre-drill with FastenMaster TrapEase 3 Deck Screws. 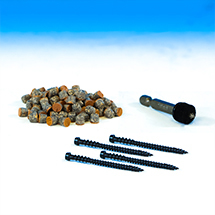 The thread design removes the material as it cuts through, for a snug installation without cracking or mushrooming. 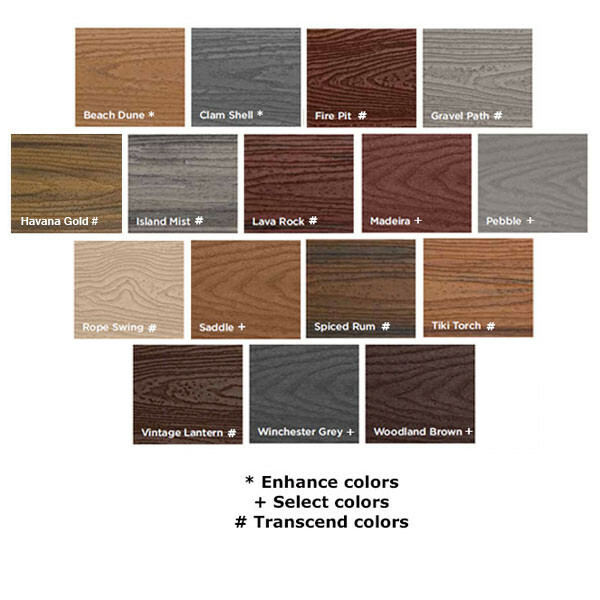 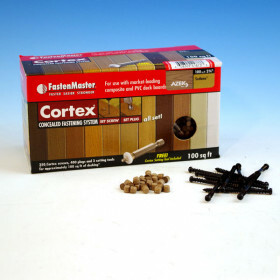 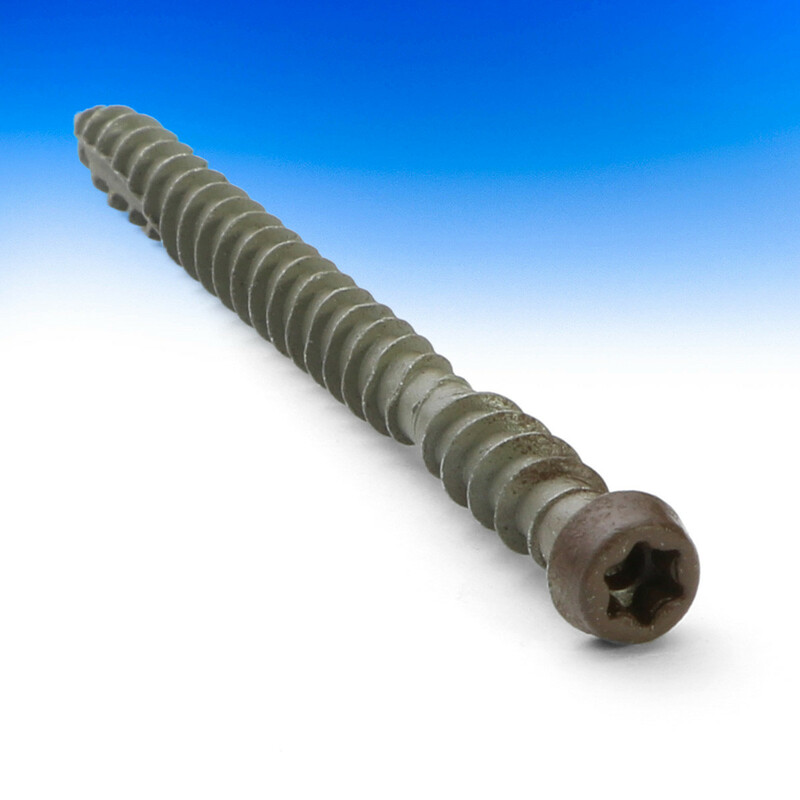 Corrosion-resistant screws are available in 15 painted-head finishes to match any type of decking (see color match chart for more information) and UV protection won't fade over time. Packages are available in three sizes to meet your coverage needs. 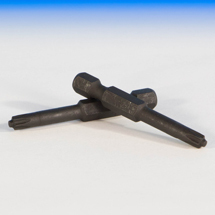 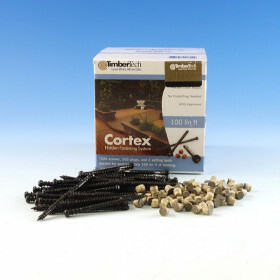 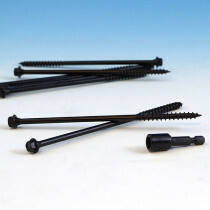 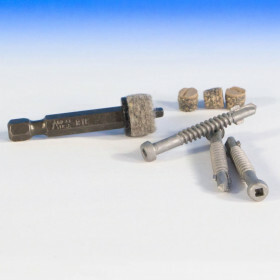 - The same screw can be used in PVC, capstock, or composite decking. 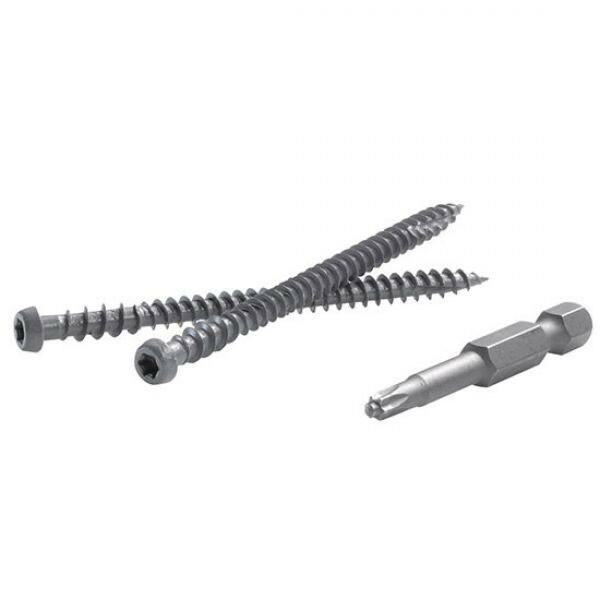 - Durable Torx Tap drive system won't strip or cam out. 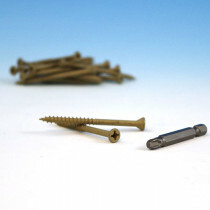 - Painted heads of screws blend with any brand of board (15 colors available). 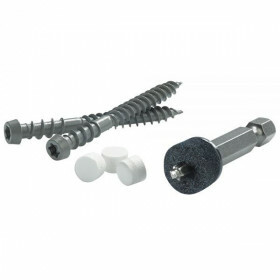 - Each 350 pc bucket includes a Spotter Installation Guide for precise screw placement and board spacing.